If you listened yesterday, I was on a school trip in Canada. We went to Fort Langley and we had a great day there — and I learned a lesson about marketing which was show them don’t tell them. Today, I am going on another school trip to the Vancouver Zoo! I did learn a thing or two about marketing here as well. In fact, I learned that the people in the zoo seem to have a different attitude to the customer than they should have. Now perhaps they think this is just school kids that they don’t need to have a good attitude because they are just kids and teachers and maybe they get a discount. I don’t know. But there were little things, and it’s the little details that just annoy me. These are the things that should be just so, its not difficult, and it does not cost anything, really not difficult. But they should be the things that nobody notices, the things that go perfectly smoothly, and no one notices that they’re happening, but its just professional. For an example, where we went is an outdoor zoo with open cages and such, and fences obviously. But sometimes we were staring into an area with animals and standing against the fence and seeing ostriches and antelope of various sorts and all sorts but there are no signs in front of me, or along the fence to explain what animals are in it. And in one occasion, I walk along about 50 meters or so and I finally saw a sign. Of course, they say there are signs, but not enough signs. What would it cost to put extra signs explaining what types of animals are there. The signs that were there didn’t really tell me much about any of the animals or their habitats in this modern zoo, or wildlife parks for that matter. They did not seem to make an effort to explain what the animal is about, where its from, where it lives, how many are left. Now other things were they had a map, they printed out a map, but the map that they give you does not tell you accurately what’s in the animal park. There were animals that were there but not listed on the map. There were animals on the map that weren’t there. That suggests to me that they need to update things, which is great. But hey, update your map. We want to know, we are the visitor, and other little bits, I mean again, this might just be me moaning but when we went to the school they seem to be very well organized, they had a good print out, and they have a schedule we have to do this then come back and meet at this place so that we can have a talk etcetera. I told here that we were here at 10. We had, we’ve got you down at 10. The teacher said well we had it in our maps at 10:30, and the woman said, no it’s 10. I just got the impression that they are just a wee bit busy there, and that we have to play by their rules and you are not welcome. I mean the people are good, the park is a little tight but to oversee it, I am sure it cost a lot to run things like this. There were plenty of empty pens that say new attraction coming soon or something or nothing in there. But again, put up a sign, you know, when you go to one of these places and you stare and you think where is it? To eventually you figure out there’s nothing actually there just put what difficulty would it be to put up a temporary things be, these animals gone to the vet or gone to for a walk or escaped or whatever. But there were lots of little details that were just not taken care of for their customer. Things like, it’s hot right now. The far side part of the park is quite a long way. They offer drinking water for the animals, but they don’t have any for the people that visit — the customers. Little kids do not last long, parents can’t even carry so much water. What would be difficult for providing drinking water? Things like that. Now what I got the in the impression was that they are doing good, they are doing preservation, its important. What they do is expensive, like feeding the animals, keeping them in the right environment, they got to keep everyone safe etcetera etcetera. But I just personally get the impression that they feel that their mission is more important than the incidental visitors that pop along, spend the money and keep them going. But I just got the impression that this has not occurred to them. So remember in your business, customers notice the little things, and it’s the little things that cost you nothing. They notice they’re great 1 to 2 to 3 to 4 to 5 and then you get someone like me who sits at home and broadcast to hundreds or thousands of people saying how frustrating it was to go to X location or to do with X company. Don’t let X company be you my friendly owner. Today’s Friendly Follow is the beautiful Rebekah Radice. 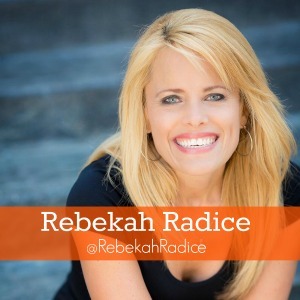 Her handle is @rebekahradice and her blog is rebekahradice.com. She is great. Social media strategy is her bag so look at her stuff but look at the way she writes her posts. Her posts are some of those that for people who are interested in her subject like me, you cannot help but read the whole thing even when it comes in on the email. She emails me and says there’s a new post, I have to go click, I think, I’ve got work to do, I going to look and then she makes me do other things. From her point of view, not from mine but she’s great. And I’ve seen her write in lots of location, I’ve seen her on video very competent highly recommend. You go look at Rebekah see what she’s doing. And also look at the pictures and style of her, her way, her blog, her social media, her brand (a style of image that for me I can spot and say ooh that’s one of Rebekah’s). I can recognize it, very subtle, very very clever. So listen to what she says about branding. That’s it. Believe it or not, hot day been to the zoo. Now I’ve heading out to ice skating lessons, no not me, little kiddie ice skating lessons. I hope it’s not melted, it’s a bit hot. I’ll catch you tomorrow. 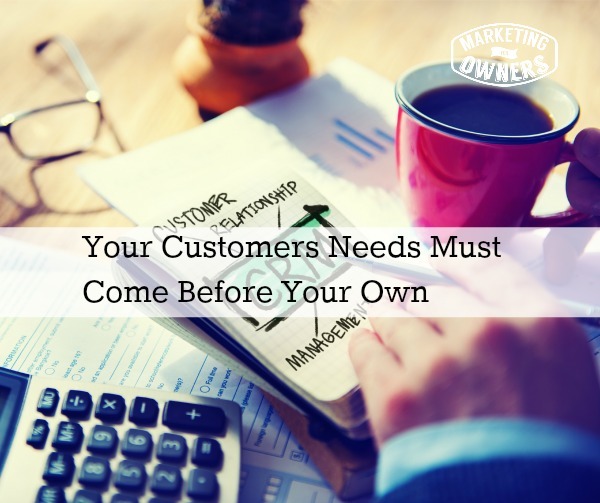 What customers needs do you need to put first?